Hello everyone! No eye makeup series is complete without a liner post, am I right? I think eyeliner is a relatively safe choice for enhancing your eye. It’s sort of like a gateway into eye makeup. I stopped wearing eyeliner in college because someone asked if I stayed up late, because I was afflicted with Eyeliner Raccoon Syndrome. Well, no more! 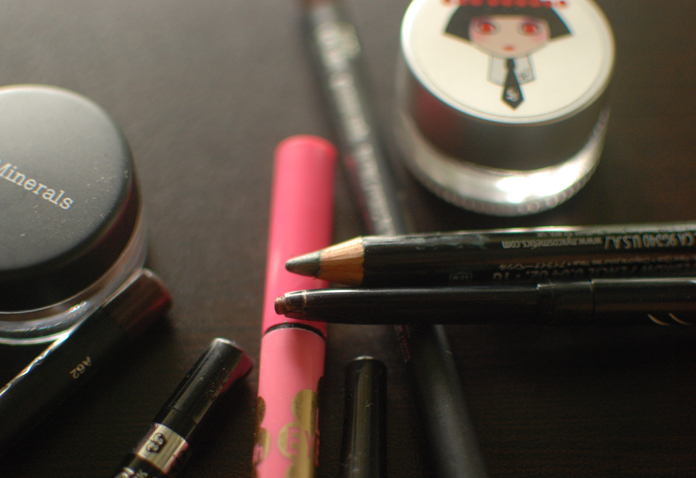 In this post, I will write about types of eyeliner that I’ve had the pleasure of trying. Obviously, it won’t be complete, but I can’t speak for everything! I think we’re most familiar with pencils. This is certainly what I grew up using (or attempting to use). I find that regular pencil liners are drier in consistency than Kohls (see below), so these are ideal for drawing a line that you want to stay put. In practice, they are also a bit harder to use if you are a beginner, just because the liner “sets” in place right away. Also, the drier formula sometimes causes lines to skip when the pencil tugs at your skin. Kohls come in pencil form or as chubby crayons that look like incense cones. A lot of people mistake these for regular pencils, but kohls are usually softer and creamier since they are (traditionally) used for smudging/smoking out the eye look. 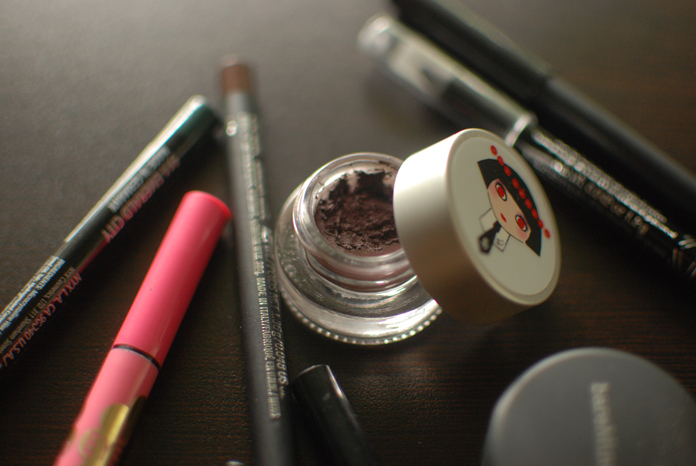 You smudge on a thick layer of kohl on your eyes, and blend on a bit of eyeshadow for a fuss-free smoky eye. 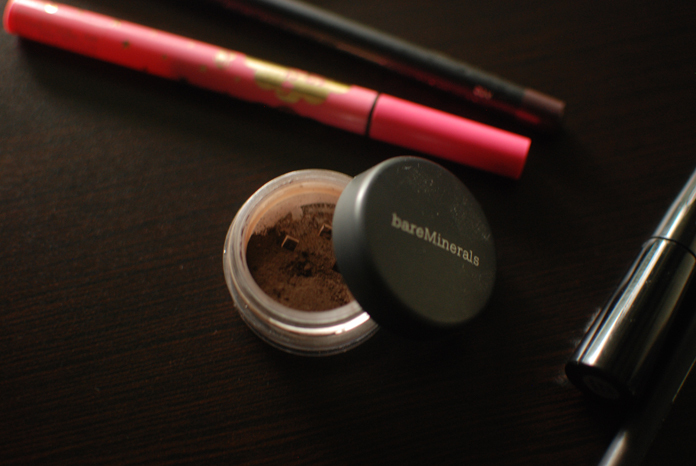 While you can also use these as liners, kohls tend to “melt off” and transfer if you have oily lids or watery eyes. 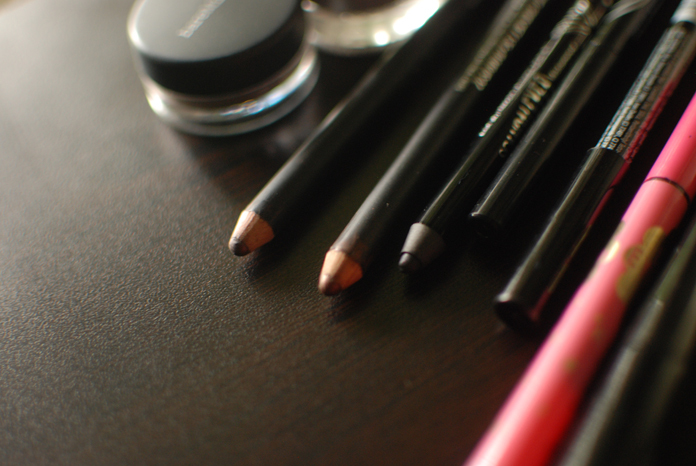 Liquid liners come in different shapes, sizes, formulations, applicators, and so on. My favorite standard black one is by K-Palette, which is a Japanese brand. It has a brush-tip applicator (like the Chinese ink/watercolor brushes), but it holds it shape together and has decent flexibility. It is quite easy to maneuver. Some liners like Urban Decay, Le Métier de Beauté, and e.l.f. have a thin, flexible applicator that’s a bit hard to control. The Illamasqua Precision Ink applicator seem to be a felt-tip and is extremely easy to use. Gel and Cream liners have skyrocketed to popularity due to ease of use and generally exceptional quality. They are usually waterproof, easy and smooth to apply, with a matte finish, unlike some of the liquid liners’. These require a brush because they usually come in pots. The formula and mode of application allows for precision and control. A big con I have found with the gel/cream liners is that they tend to dry out because of the packaging. A beginner’s dream! 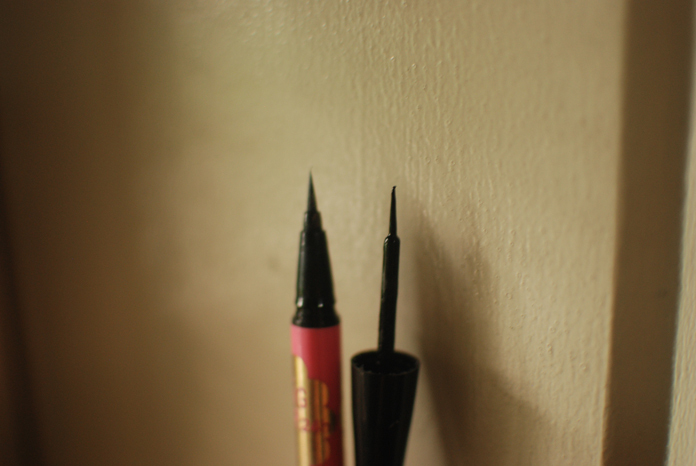 If you are new to eyeliner, take a black eyeshadow and a stiff angled brush and practice with that. You get a softer look, and the mistakes are easier to remove. You can also achieve a more intense look similar to a liquid eyeliner by wetting your brush (to the point where it’s damp and not soaking wet!) 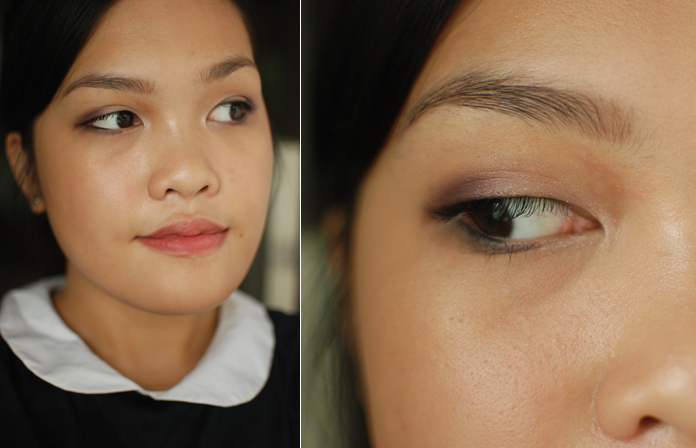 with water or a solution like MAC Fix+ and applying the eyeshadow. Hope that helps! I don’t really prefer one over the other; it just depends on what the look I’m going for that day is. I didn’t either, but it didn’t take too much effort after the first couple of times. 🙂 For truly lazy days, though, I like just smudging on the eyeliner! 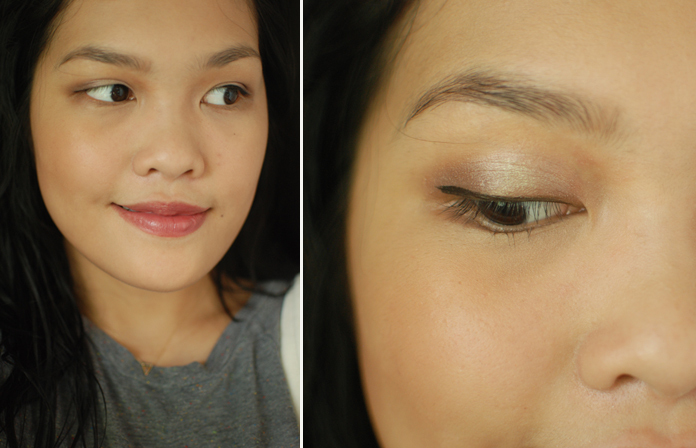 My current favorite is the eyeshadow/powder liner technique. It’s just so easy, and I don’t have to buy different products to line my eyes. Yeah, that’s one more pro to that technique—less product! I always thought Kohl is just a name for black eyeliner pencil, I learned something new today! Kohls are a traditional mixture that people have used to enhance their eyes or on babies, to ward off evil spirits. Mostly in Asian countries! I guess they just used the name because the smudginess and creaminess of the products mimic that effect. Great, hope it works out well for you! Oh wow! I never knew kohl dates waaaaay back. Thanks for the info, Carina. The brush works so good and doubles as an eyelash comb. Well, kohls as we know it are different from traditional kohls, but they’re meant to mimic the old formulas. I still wish I could work with pencils and kohls (I didn’t know those were different btw, thanks!). I just find it that even the creamiest of them drag too much. You have A LOT of great insight on eye products. MOAR MOAR!